Kentaro Chiba received his B.Sc. from Tohoku University in Japan, where he completed his thesis on the radiolarian faunal turnover through the Eocene/Oligocene boundary in the Southern Ocean. 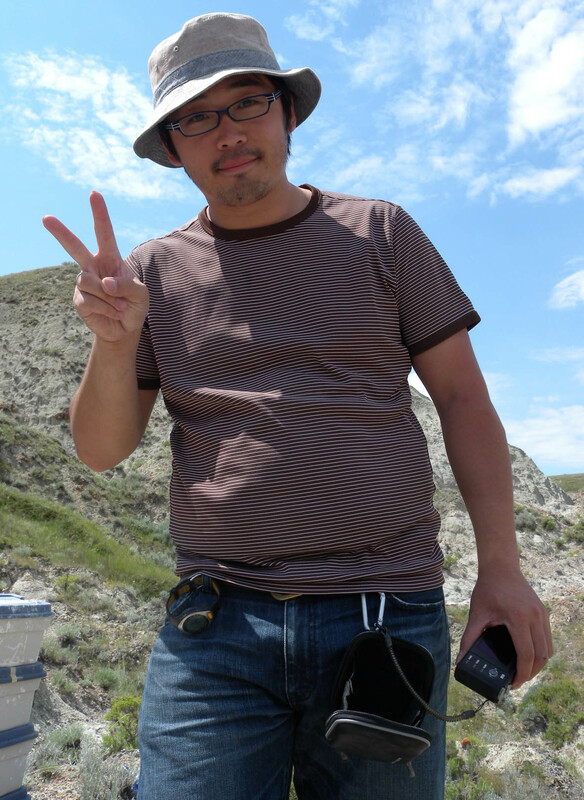 Kentaro then changed topics to vertebrate paleontology and worked on the taphonomy of a Centrosaurus bonebed in southern Alberta with Dr. David Evans and Dr. Michael Ryan as his M.Sc. thesis at Hokkaido Uiversity, Japan, under the supervision of Dr. Yoshi Kobayashi. 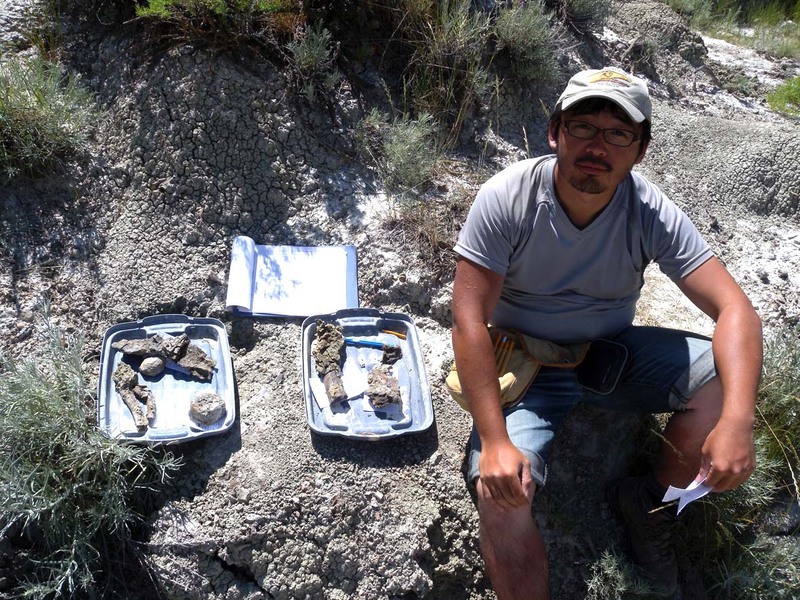 Kentaro completed his Master’s thesis in 2011 and currently continues his research on centrosaurine dinosaurs in the lab as a guest student researcher, and hopes to begin his Ph.D at the U of T.
Suzuki N., K. Ogane and K. Chiba. 2010 Middle to Late Eocene polycystine radiolarians from the Site 1172, Leg 189, Southwest Pacific. News of Osaka Micropaleontologists (NOM), Special Volume, no. 14 p. 239-296.